Do you remember when you were growing up and you couldn't wait for school to end and the halycyon days of summer to start? The future stretched before us, filled with infinite possibilities as we dreamed about the long and unencumbered hours ahead. That dream isn't quite the same for adults, as our responsibilities continue no matter what the season, but summer still represents a wonderful opportunity to take advantage of a few extra hours in the backyard or at the beach by reading some of those books that have been piling up by your bedside! To help you in this summer adventure, we've put together a list of some wonderful books that will engage your heart and your mind and encourage your spiritual growth. You can click on each title below which links to Grace Books where you'll find additional information and can also order these books online, as well as many other helpful resources. Have a great summer growing in the Lord! 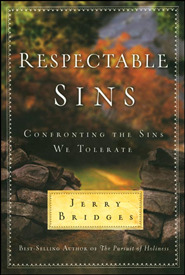 Jerry Bridges returns to the theme of holiness and addresses a dozen clusters of specific "acceptable" sins that we tend to tolerate in ourselves – such as jealousy, anger, pride, unthankfulness, and judgmentalism. Bridges writes not from a height of spiritual accomplishment but from the trenches of his own battles with sin. In his admonitions, Jerry offers a message of hope in the profound mercy of the gospel and the transforming grace of God as the means to overcoming our subtle sins. "Be ye holy, for I am holy", "Be holy for without holiness no one will see the Lord". These are serious commands from our Lord that will be followed by serious believers. Holiness involves being consecrated to the Lord's service and thus being separated from the commonplace — and most importantly, sin. The Practice of Godliness focuses on putting on the "new self" — growing in Christian character as exemplified by Galatians 5:22-23. In an effort to strengthen his own trust in God during a time of adversity, Jerry Bridges began a lengthy Bible study on the topic of God's sovereignty. 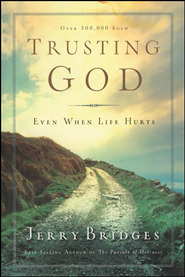 What he learned changed his life, and he now shares the fruit of that study with you in "Trusting God." As you begin to explore the scope of God's power over nations, nature, and the detailed lives of individuals, you'll begin to acknowledge His loving control. As you come to know Him better, you'll find yourself trusting Him more completely even when life hurts. Contentment, although as precious as a jewel, is also very rare. How many of us today, among the people of God, can say with honesty that, having food and raiment, we are therewith content? 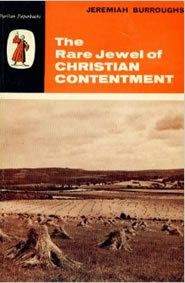 Burroughs' analysis of what true Christian contentment is and what it is not, his examination of the sin of grumbling and murmuring against God, and his inquiry into the practical effects which true contentment brings to the believer, make up a book which answers every possible excuse that our hearts can offer to avoid this duty. True worship requires complete commitment of your emotions, intellect and will. 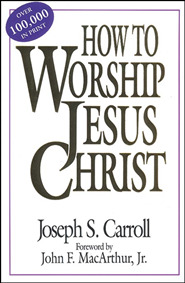 Drawing from Scripture, Joseph Carroll sets forth simple, practical, and essential concepts that will freshen your approach and desire for worship. Gratitude is a choice. If we fail to choose it, by default we choose ingratitude. 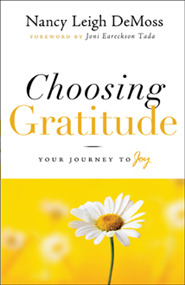 Derived from a popular Revive Our Hearts radio series, "Choosing Gratitude: Your Journey to Joy" challenges and equips the reader to live a life of intention. A life based on thankfulness - for the freedom Christ has provided and for the blessings of others. Even though we want to be content and trust God, we can still feel overwhelmed by worry. Filled with encouragement and practical help for overcoming anxiety, this 12-session Bible study for women explains what God says about contentment and offers ways to apply it to daily life. 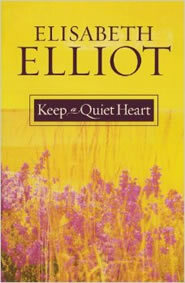 "Keep a Quiet Heart" is a unique collection culled from the lead articles featured in Mrs. Elliot's newsletter over the past several years. 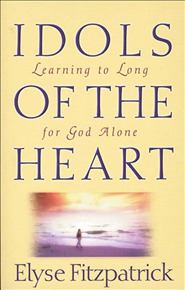 "Mostly they are about learnng to know God," the author says. "Nothing else comes close to being as important as that. It's what we are here for." 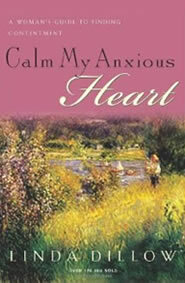 Join Elisabeth as she points the way to a deeper, more fulfilling--and restful--walk with God. In today's world it is easy to become confused about what it means to be a woman, especially with the constant assault from the media. So what makes a godly woman then? 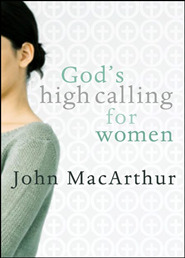 The authors, both associated with The Master's College, answer this question theologically, practically and effectively, teaching you the biblical blueprint for womanhood. Many people desire to live godly lives but feel trapped in habitual sins. They trip over the same bad habit, embarrassing weakness or sinful slavery they wanted to be free of years ago. 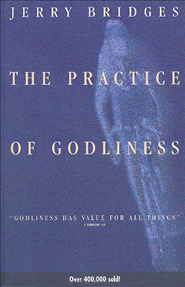 This book reveals that idolatry lies at the heart of every besetting sin. Fitzpatrick shares the hope found in God's desire to have his children live free of idols and His commitment to free them by His sanctifying power. In the Bible, God gives guidance and offers the true solution to our anxieties and fears. 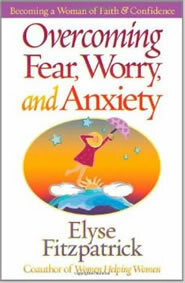 "Overcoming Fear, Worry, and Anxiety" accesses this information to help women identify the source of fear, worry, and anxiety; transform fearful thoughts into peaceful confidence, and discover specific strategies for overcoming anxiety. Women will find comfort and encouragement through real–life examples of how others, including Elyse, cast their cares upon God and experience His strength and love. Life isn't always easy for women today. In the shuffle of so many responsibilities, it's easy to lose focus on pursuing godliness in every task. 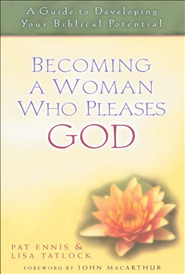 Through poignant stories and faithful reminders, Barbara Hughes encourages women to discipline every area of life so that God is most glorified and they are most unified with Him. As Christians, we're certainly not immune to the troubles of life. We aren't promised an easy road, and when troubles do come, we're urged to rise above them and experience "peace that passes understanding." But how, in day-to-day life, does that really happen? Grounded in the Scriptures, Pastor MacArthur reminds us that God understands our struggles and has equipped us with resources to not just face, but truly triumph over our anxieties. 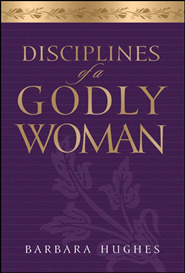 This study takes an indepth look at 1 Timothy 2:9-15 concerning women's issues like attitude, appearance, testimony, roles, design, and contribution. 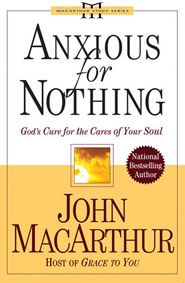 Dr. MacArthur's series consist of the study notes from his messages and corresponds to his taped messages. 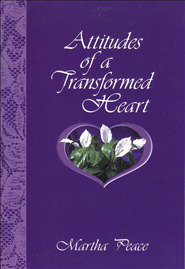 Reading this book will give you a high and exalted view of God and cause you to tremble in humble amazement. It's not a rock hard impenetrable theological work. It is serious reading but completely accessible. Christians often embrace a low view of God, and consequently a casual view of sin and Scripture. 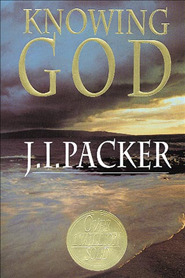 This low view of God is reflected in their attitudes about God, Scripture, and their heart. This book is about "being transformed by the renewing of your mind" and not being conformed to this world. 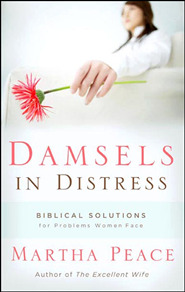 This book reveals God's principles for dealing with the common problems women face—first with others, then with themselves. Through its pages you will be stimulated to honestly analyze the problems through the grid of Scripture and then formulate practical applications that bring glory to God. Sometimes we seem to live lives of "quiet desperation," as Henry David Thoreau put it, except we're no longer so quiet about it. When exactly did "all stress, all the time" replace the "green pastures and still waters"? And what can we do about it? 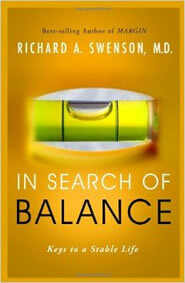 Dr. Swenson offers important organizing principles for making sense of our lives as well as practical ideas for recovering our balance. Many people in churches today seem more concerned about the opinions of others and not about the truth of the Word of God. The approval of man dictates the way many people live their lives. 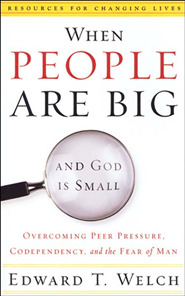 This book is clear and convicting, along with being biblical and practical.